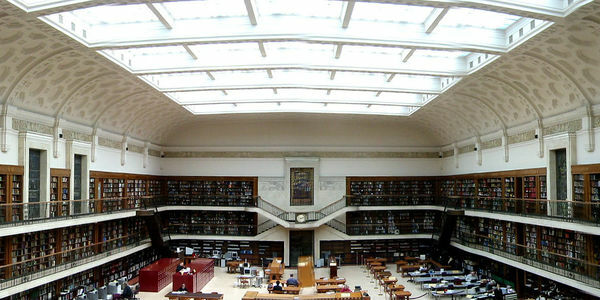 We're deeply concerned by what is happening at the State Library of NSW – especially the conversion of the Mitchell Reading Room – and shocked that it has all gone ahead so quickly, without more public consultation. We realise that the Chief Librarian may be acting on orders, and on the advice of others whose deliberations have led to this proposal. But we have a right, as potential users of the library and as citizens concerned with our shared culture, and with the Mitchell as one of its most valuable and loved national institutions, to have our questions answered, and in public. What exactly is proposed and on what grounds? On whose decision and order is this proposal made? What/whose interest does it serve? We, the undersigned, call upon the Chief Librarian to convene a public meeting where our concerns can be aired and our questions answered. the advice of others whose deliberations have led to this proposal. Immense thanks to all of you for helping add weight to the call to save the Mitchell Library Reading Room. After meeting with Library Management yesterday, we are glad to report that senior staff have revised their plans accordingly. The Library’s alternative is elegant and imaginative, and it has allayed most of our concerns – we feel confident that the petition has performed its task and may be closed. The Library’s press release may be accessed here: http://blog.sl.nsw.gov.au/media/. The Save the Mitchell petition has now been live for a fortnight. In that time, it has garnered over seven thousand signatories – some of them household names, many more simply concerned citizens. We are awed by the response, as well as being deeply grateful. We did not imagine that there would be such depth and breadth of response. Stay posted; more news to come.